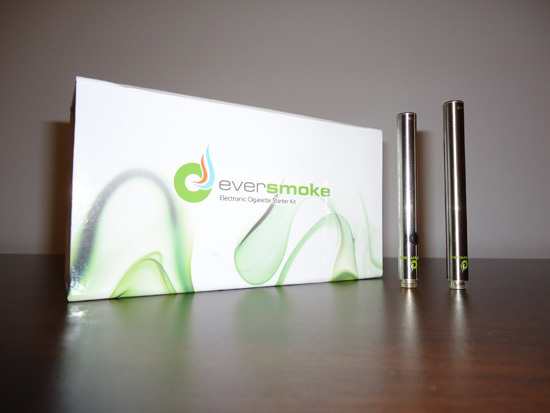 E-cigarette starter kits are usually very similar, regardless of what brand you use. Sure they come in different sizes, have different graphics on them and included accessories slightly vary, but all in all they’re pretty much the same. The Victory electronic cigarette is different. From the materials used for the packaging, to the battery model and even the contents. But is standing out from the competition enough to make Victory a winner? Read the review below and find out for yourself. Most electronic cigarette kits come in the usual durable flip top cardboard boxes, the kind used for packaging everything from chocolates to special presents, but for some reason Victory decided to go with a flimsy, almost paper thin box. It’s not as easy to open as other packages I’ve tested, especially since the contents are sealed in another plastic container which has a kind of twist-open mechanism. To tell you the truth I wasn’t put off when I got it, in fact I was pleasantly surprised to see a company doing things differently. But I like to keep things in order so I put everything back after I finished fiddling with the e-cig, and taking it out again every time I wanted to use it got cumbersome after a while. Don’t panic just yet, that’s not going to be a problem if you plan on using your e-cigarette daily and never put it back in its original box. As I said, the packaging isn’t the only different thing about Victory. 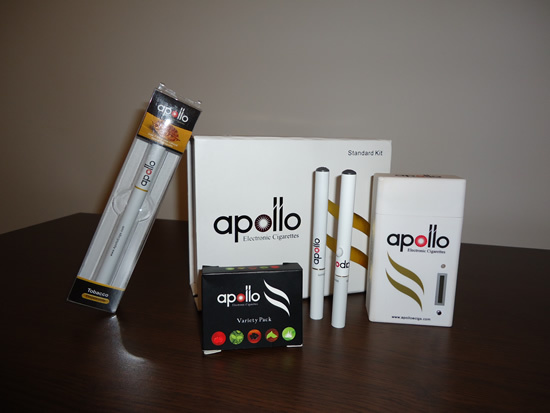 Their standard kit, called Full Electronic Cigarette Starter Kit, costs $59.99 and only includes one rechargeable battery. That’s pretty strange considering we’re talking about a mini e-cig which normally stores enough power for just a few hours worth of vaping. For that price, most other brands throw in a second battery. But it also includes a car charger, not your typical standard kit accessory, although I can’t begin to tell you how useful it is to vapers on the go. You also get the usual USB charger, a wall charger and 5 prefilled cartomizers. The included car charger is a very nice surprise, but it’s just not enough to compensate for a second battery. What is a user supposed to do when their only e-cig battery runs out of power, stare at the thing while it’s charging? 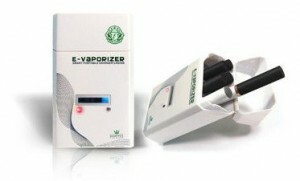 Over 90% of all brands who sell cigalike e-cigarettes opt the KR-808D battery model. In fact, all the other brands I have reviewed in the past used the KR808. Apart from the tried and true eGo it’s probably the most popular electronic cigarette battery in the world. For some reason, Victory decided to go for a 510 connection battery. I was intrigued, so I popped open a cartomizer from the blister pack and took a hit. Just a short draw filled my mouth with vapor. The little battery seemed to perform surprisingly well, but I wasn’t sure if the impressive vapor production had something to do with the cartomizers or the e-liquid. So I got one of my blank 510 cartos, filled it with Liqua juice and tried it again. the result was pretty much the same, which left me wondering why other brands seem to prefer the KR808D, when 510 is obviously the more popular connection type. I still haven’t found the answer to my question, but all I can say is the Victory performed beautifully. The automatic battery had a very responsive switch, the cut-off time was over 5 seconds, and vapor production was on par with the best I had ever tried. But what about battery life? The Victory rechargeable battery is 78mm-long, just like the standard KR808D, and can store around the same amount of energy. I puffed on it for about four hours before the LED tip started blinking, letting me know it was time to recharge. Not bad at all for a battery this size, but without a second battery to keep you vaping while the other one is charging, it’s just not enough. 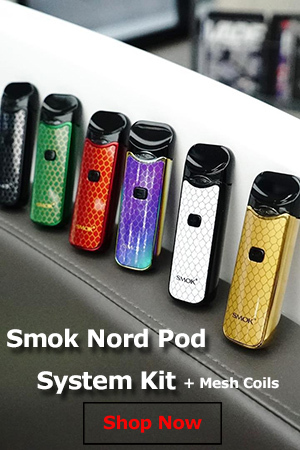 The charging cycle is about two hours, during which time you will not be able to vape unless you purchase a second battery separately. You could buy the Victory Mega starter kit instead of the standard one, but that costs $99.99. As I mentioned before, I was really impressed with the vapor production of the Victory electronic cigarette. 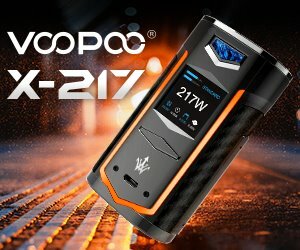 Quite frankly you would definitely have a hard time finding a better performing vaporizer this size. Vapor volume decreases noticeably as the battery runs out of power, but that’s a common trait of all the e-cigs available on the market today. Like most other brands, Victory uses Chinese-made e-liquid, but I’m happy to report the flavors are pretty decent. The standard tobacco which came with the starter kit had a slight buttery taste, which I thought was a nice touch, and the blueberry and strawberry were surprisingly tasty. Generic Chinese juices often have a chemical or stale taste, but I didn’t get anything like that from any of the flavors included in the sampler packs I received. With just eight available flavors to choose from, it’s clear Victory doesn’t have the most impressive selection, but at least they are good enough to keep you from going back to smoking. I have been using Victory e-cigs for close to a year now. They are by far the best value IF YOU DO NOT GET DEFECTIVE SHIPMENTS. I have recieved defective chargers, batteries, and filters (cartomizers. )I’ve spent hours trying to get a GOOD WORKING ecig together. I tried switching charged batteries with new filters and most of the time I couldn’t tell what was defective. Up until about 3 months ago all I had to do was call them and they would send out replacements. NOW THEY HAVE MOVED AND TEE TOTALLY BECOME HOSTILE WHEN YOU CALL THEM. I think they only have one person working in customer service and she is rude e as hell. She told me that the chargers and batteries only had a 30 day warranty and my monthly shipments had to be cancelled 30 days prior or I still would be billed. I just mailed back to them 15 defective filters and if they do not replace them I am going to jump ship. I may anyway seeing as I am going to have to BUY a new charger, new batteries at 14.95 and know they only have a 30 day warranty. I have referred 4 people and they have the same problems as I do, however they still smoke cigarettes so its no problem. I can’t stand the taste of a cig anymore and these are all I have. My boyfriend can attest to all of this because we share them and he would call and probably tell them off, buthem but they close at 5 and he works during that time and can’t call. I was willing to put up with the defects as long as they would replace them without an attitude. You just can’t count on them to work even if the battery and the filter are brand new. I had a nic fit the other day because I had two charged batteries and apparently a box of bad filters. I don’t care if I have to go with a higher priced brand, what good are they if you cant depend on them!!! THIS OUTFIT RIPPED ME OFF FOR $148.00 FOR A KIT I RETURNED PER THEIR CUSTOMER SERVICE. THEY KEPT PROMISING I WOULD GET MY REFUND. WISH I COILD FIND OUT WHERE THEY ARE BUT THE ADDRESS THEY GIVE IS BOGUS. STAY AWAY FROM THESE SCAMMERS. AVOID AT ALL COSTS. These guys are big time scammers, and have the worst customer service I have ever experienced. Do not fall for their “free” or “1 cent” starter kits – they will eventually charge you by quietly sending out extra cartridges and overcharging for those. I have tried a lot of e cigs and this by far is the best. The vapor is great and the battery life is pretty good. The e cig is great when everything works. I have had several USB chargers stop working on me. I think I am on my third one. The first one had a short in it so I had to manipulate it with tape to get my batteries to charge. The second one just stopped working all together after about a month. I have had the third charger a little less than 30 days so I am hoping it keeps working. I talked with a representative about the second defective USB charger. She was pleasant and stated that since I am a “platinum member” I can return the USB charger in exchange for a new one. So I paid to send it back plus 3 defective filters and after about a month of not hearing from them I called back. I got a male representative this time and he contradicted everything the first representative told me about the refund policy. He stated that there was a 30 day limit to refund/exchange items. Unlike the other rep telling me I could exchange items with no time limit because I was a platinum member. None of it mattered. I wasted my money and time sending the items back because I never received an exchange. The product itself is great…when it works. A lot of defective filters happen in about 20 percent of every shipment. I gave up trying to talk to someone. No one seems to be on the same page. total crap, so much defective merchandise and terrible rude customer service! I have used Victory Ecigs for two years and especially like the tobacco flavor that is closer to an American cigarette than any other supplier I have found. I just wish I could buy that ejuice and refill the cartomizers myself. I have also had troubles with broken chargers and cartomizers that were almost dried out but my experience with customer service has been good. I also like that they look just like a real cigarette with white battery and tan cartos. One more thing – if someone could tell me where to buy the ‘Chinese’ ejuice that Victory uses, I would be most grateful. Victory only sells the cartomizers. I have refilled these up to 4 times (with other ejuices) and still get satisfactory results. Thank you! I tried these on a whim and found them to be delightful. Not sure what the other reviewers are complaining about but I purchased in Jan 2015 right after Christmas. Never had to talk to CS product has been excellent. This company is a complete SCAM. Stay very far away from them and go to a reputable retailer or online store. This company has scammed me out of over $100 and refuses to refund any of it. I have complained multiple times but they keep saying they do not have anything on record, which is complete BS. Just don’t waste your time or effort, please. Worked well for a short while. Then they started to invoice more than they sent and don´t reply on questions or claims. Seems like there is only one guy there now named Ivan. Stay far away!! How do I get another white part of the cigarette? I lost it but I have every thing else. Filters and both chargers.